Mission: Assist communities to construct and fund sustainable infrastructure that protects water quality and public health. The Municipal Finance and Construction Element (MF&CE) is responsible for administration of a number of state and federally funded programs for the planning, design, and/or construction of wastewater, drinking water, and stormwater/nonpoint source management programs. These programs are discussed in more detail below. In addition, the MF&CE also administers the Treatment Works Approval (TWA), the Capacity Assurance, the Sewer Ban, and the Clean Watersheds Needs Survey (CWNS) programs. The TWA program regulates the construction and operation of wastewater treatment and conveyance systems, while the Capacity Assurance and Sewer Ban programs prevent further pollution by restricting additional sewage flow to non-conforming treatment and conveyance systems. A Financing Cost Estimate ("FCE") provides comparison of the cost of financing the project through the New Jersey Water Bank - NJWB (NJEIT and DEP's joint Financing Program) versus independently through the LGU's own bond process. To generate the FCE Report, please complete the requested information and click "Calculate Report". The FCE Report will be produced immediately and available for printing. NJWB Now Accepting All Loan Applications on a Rolling Basis! 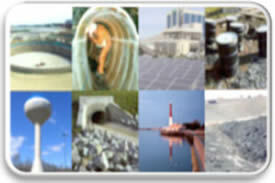 Loan application documents can now be submitted at any time throughout the calendar year for the New Jersey Water Bank - NJWB (formerly - New Jersey Environmental Infrastructure Financing Program-NJEIFP) through the NJWB's online application system, https://www.njib.gov/njeit/apply/. There are no submission deadlines. NJWB staff will begin working on submissions immediately upon receipt and approval will be given upon satisfaction of program requirements. For details please click here.